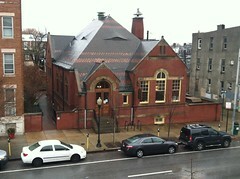 The Village Learning Place is an independent non-profit library that houses educational programs, enrichment opportunities, and informational resources for Charles Village and throughout Baltimore City. 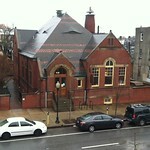 The beautiful Victorian brick building in which the Village Learning Place is housed was one of the original six branches of Baltimores Enoch Pratt Free Library, built in 1896. Reclaimed by community effort after it was de-accessioned by the library system, it is now a physical embodiment of community endeavor and neighborhood pride. Our community library provides excellent, free print and online resources. Over 7,000 Baltimore City residents now hold Village Learning Place library cards. Our collection of nearly 20,000 circulating books includes titles by classic and contemporary authors, as well as an excellent collection of childrens literature. We are always improving our new Special Collections, which include Local Interest, Gardening, Parenting, Cooking, and African-American History & Literature. The VLP is inspiring, nice and comfortable to be in. Hope you visit it!